Long before there were day spas or even the exclusive spa resorts of 18th century Europe, ancient cultures understood the benefits of the healing powers of heat. There are historical records that show early Roman, European and even North American cultures regularly used heated stones in their massage rituals. It may have taken us a while, but fortunately we’ve rediscovered what our forebears already knew. The underlying principle for using hot stones during massage is that the direct and penetrating heat these stones bring helps to relax tense muscles and lets your massage therapist work more deeply into your muscle tissue. The stones themselves are usually smooth river rocks that have a high basalt content. Basalt holds heat well, and the smooth shape of the stones lets your massage therapist use them in a number of ways to best treat your individual needs. For example, hot stones may be placed at strategic acupressure points, or they may be used in combination with massage oils and steady pressure strokes to warm and release tight muscles, tendons and ligaments. But the wellness benefits go beyond simple muscular relaxation. Studies have shown that the combination of heat and massage is very effective in relieving pain and anxiety, lowering cortisol levels, and increasing the release of the neurotransmitters known to reduce depression. You’ll sleep better and feel better. It’s a complementary wellness therapy that will improve your overall good health. Take some time for yourself this fall with the massage services here at Salon D’Artiste. 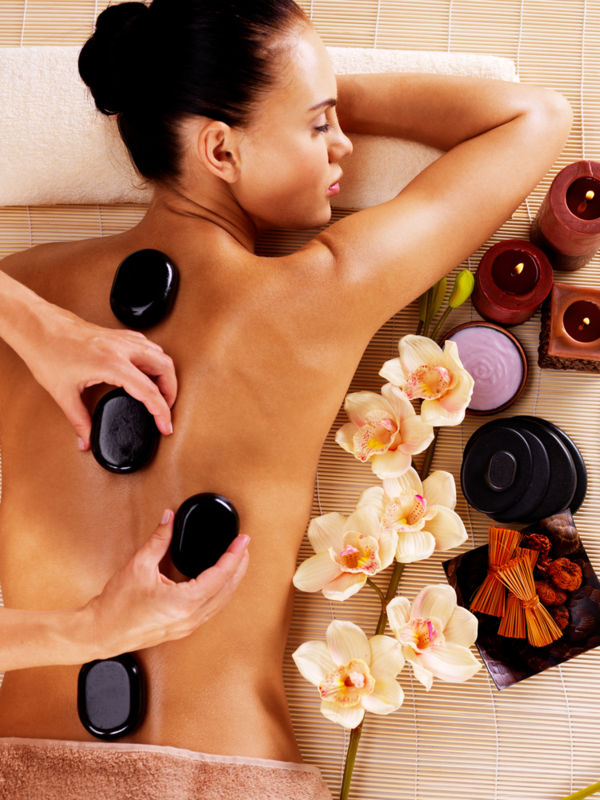 You can’t look your best unless you feel your best, and hot stone massage is a great way to start the journey. We’ve been on the forefront of day spa experiences since 1985. For an appointment, call us on 610.687.2020 or come see us at the salon at Eagle Village Shops at 205 Lancaster Ave. #2 in Wayne. Want to make an appointment instantly? Use our app – it’s available through the Apple Store, GooglePlay, or Amazon.